Single family residential remodel includes new decomposed granite courtyard , climate appropriate plant material, and a new sitting area with a firebowl. After the removal of the front and back yard lawn and the new landscape this client has reduced their water bill by 70%. 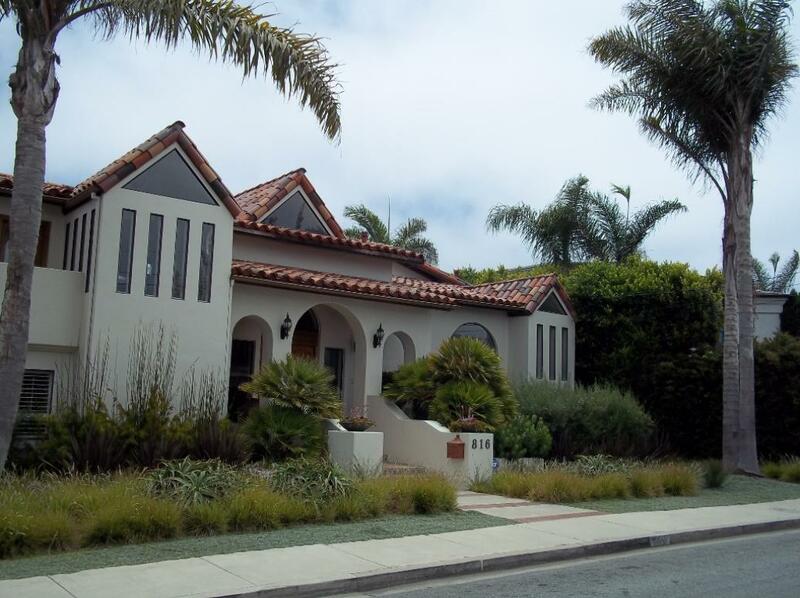 Outdoor landscaping is the single largest use of water in the typical California home. In most of our yards, grass consumes the most water, so reducing or eliminating how much grass we have in our landscapes can make a significant impact on the state’s water use. The ongoing drought reinforces the importance of using water more wisely, especially our drinking water. Governor Brown issued an Executive Order on April 1, 2015 that directed the implementation of specific actions to reduce potable water use in the urban sector. Directive number three declared that 50 million square feet of turf be replaced with drought-tolerant landscapes. There are various ways to remove your lawn. I encourage homeowners to consider hiring a Licensed Landscape Architect to explore methods that reduce waste generation and chemical use.My recommendation is to manually remove the lawn and as much of the rooting system as possible top thee inches. Do not irrigate the lawn area for six weeks. After the six week period irrigate thoroughly every two days for a week and see what comes back. Remove remainder of grass regrowth and repeat the process at least two times.